In the Morning Star of 29 April Alliance for Workers Liberty (AWL) member Jim Denham had a letter published Shame on the Star for its defence of Rahman. It has no original thoughts on the matter, merely demanding we submit to the political prejudices of the arch Zionist Eric Pickles and the Election Commissioner Richard Mawrey. As a committed Zionist himself Jim makes a few pedestrian points; that leftist had criticised the Catholic Church for telling people how to vote in Liverpool and Glasgow, that Mawrey had made some good judgements in the past therefore this one must be ok too, etc. which merely serve to bolster Eric Pickles. And the final, devastating point, “there is real racism at work” (apart from the bogus kind peddled by petitioner UKIP member Angela Moffat, the Tories and Tower Hamlets Labour we must assume), “the racism that believes the immigrant poor deserves no better”. They are about to find out how much “better” the new anti-racism of the Eric Pickles Commissioners really is. Lutfur Rahman reinstated the Education Maintenance Allowance (EMA), he did not implement the Bedroom tax and he retained Council Tax Benefit, and he celebrated St Patrick’s Day. He defended LGBT culture, his was the first council to take active steps to oppose the blacklisting of building workers by refusing to use firms guilty of this illegal practice and he mobilised the whole council to oppose the fascist English Defence League. These are his real ‘crimes’. The Commissioners will be kept in place so the establishment via PriceWaterhouseCooper can be absolutely certain these heinous practices which benefited the undeserving poor to some degree cease immediately; austerity will be imposed without let or hindrance even if they lose a third election on 11 June to Rabina Khan. In the AWL’s Solidarity 362, 29 April Restore secular politics in Tower Hamlets Jean Lane begins somewhat more circumspect. She just could not decide whether he was corrupt on not; “neither Galloway nor Pickles but secular politics” seems to be the new third camp slogan. Only of course there is no neutrality in a vicious class struggle where there are no angles on any side. And she quickly reveals her sympathises by an outright lie; “Some also deny the judge’s finding that 101 imams said “that it was the duty of faithful Muslims to vote for Mr Rahman… with religious duty being mentioned in canvassing before the polls and to voters attending polling stations on election day”. Of course this is what his bigotry wishes to infer. The Church of England, “the Tory party in prayer” is the Established Church in England and Wales, all manner of explicit ‘spiritual influence’ are used every day by every faith in Britain but are only a crime now if you are a Muslim. Eric Pickle’s hatchet man does not bother to try to draw the parallels between the letters because there are none. The law, according to his own criteria, requires him to find. 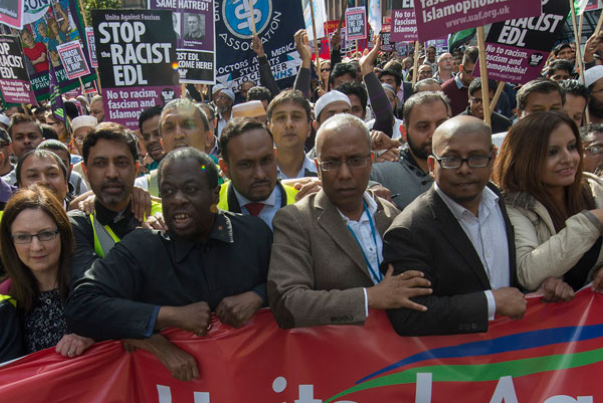 Of course it was not love but a Tory witch hunt and reactionary Catholic bishops defending the British Empire from the threat of Irish Home Rule, the same forces that now threaten Lufur Rahman, Tower Hamlets and anyone fighting back against the bankers’ austerity. The good bishop was not making a moral judgment on Parnell but pursuing a political agenda. This was in the midst of a British Empire Tory loyalists witch hunt against Charles Stewart Parnell’s followers (he had died in 1891) to break his alliance with Gladstone and prevent Irish Home Rule. It succeeded in winning over almost the entire Whig landlord class to the Tories and partially reinstated the old alliance between the Catholic Church and the Tory supporters of absolutism of the English Civil War. The voided elections made no difference to that; the Catholic Church was only too willing to co-operate in defence of the British Empire. 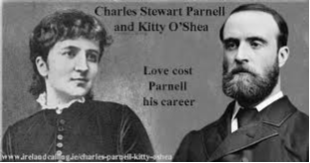 Parnell was a Protestant who was ‘living in sin’ with Kitty O’Shea hence they had the excuse to get the bigoted Bishops on board. The witch hunt against Lufur Rahman is in defence of the bankers’ programme of austerity promoted by the entire establishment, clearly a totally opposite situation to that of 1892. It has been pursued over the last five years to prevent popular resistance to austerity from spreading. Limited and weak though that resistance is nonetheless we must support it and oppose the Islamophobic bigotry used against it to divide the whole working class. Just because the man turns up as EDL demo, doesn’t mean he is not a manipulative or morally bankrupt. Of course he would – part of the illusion of the man who sent canvassers out into the bengali community basically saying don’t vote for the other guy – he is Christian and pro-gay. Living the lying dream. That has now ended. Lose gracefully.